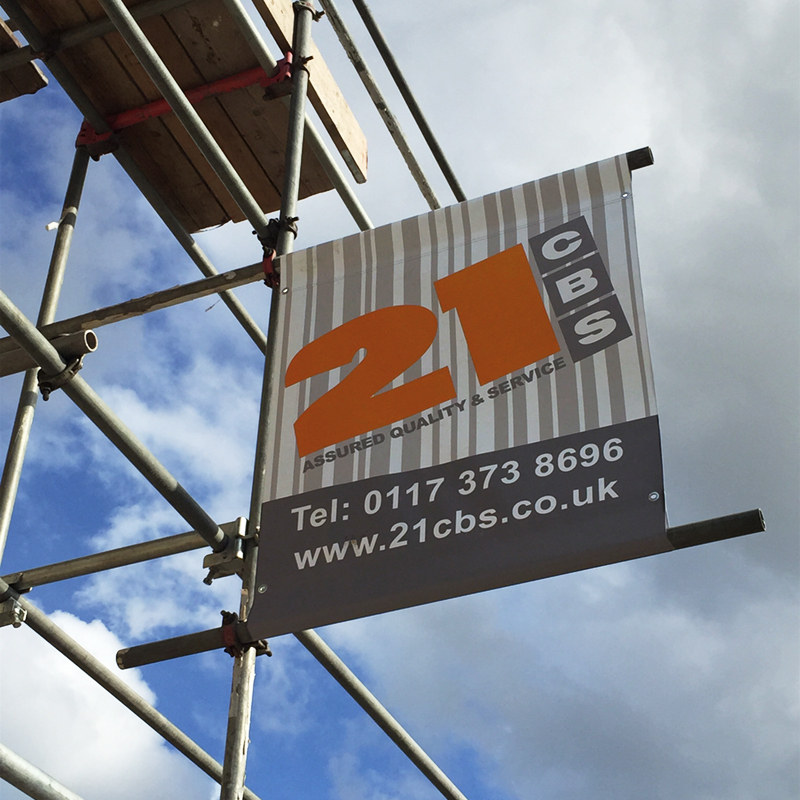 We supply full colour printed PVC scaffold banners to Building, Loft Conversion, Scaffolding and Roofing businesses. 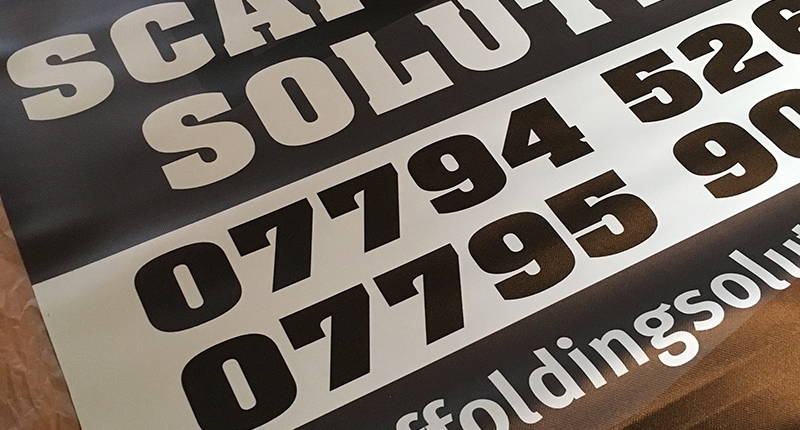 We print them at any size you need and can supply any quantity. It’s even easier to order now, go to our shop page then choose the banners you want. 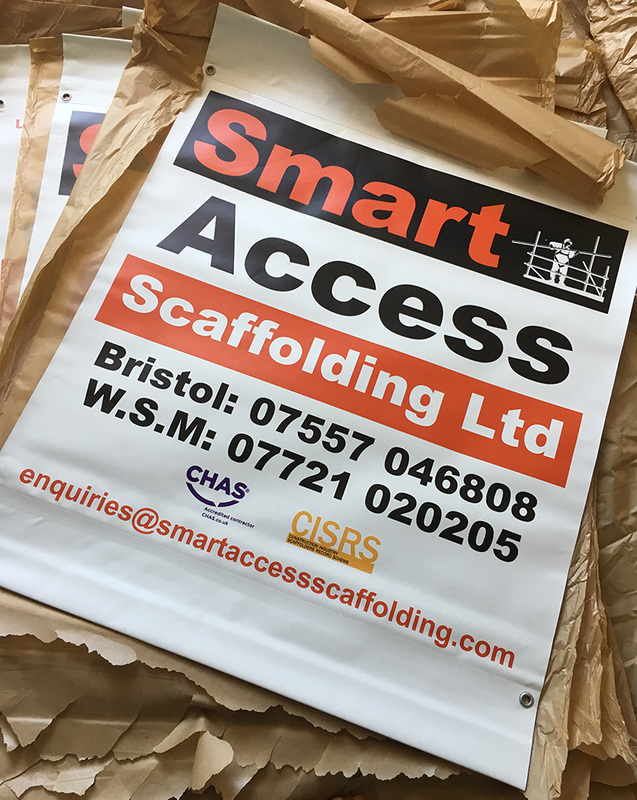 Single or double sided or Mesh banners. Choose the size and quantity you want and the cost will appear at the top. You can then upload your artwork if you have any or supply a design brief and we will create your design. All is left to do is add your order to cart and pay, we will send you your design for approval by email. 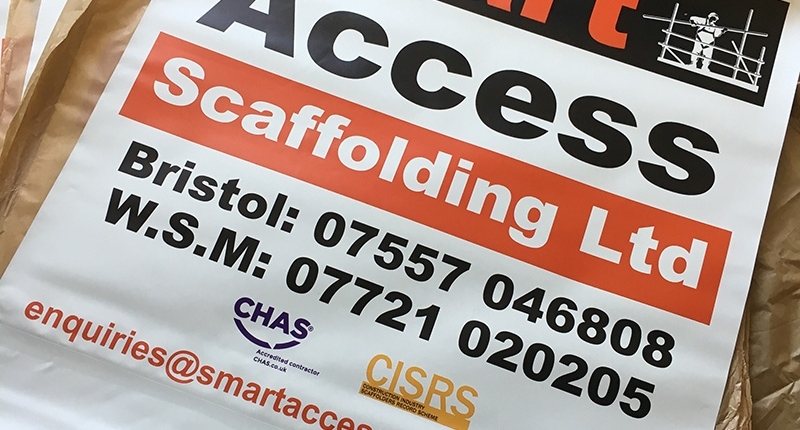 Our scaffold banners are digitally printed in full colour using solvent based UV inks. 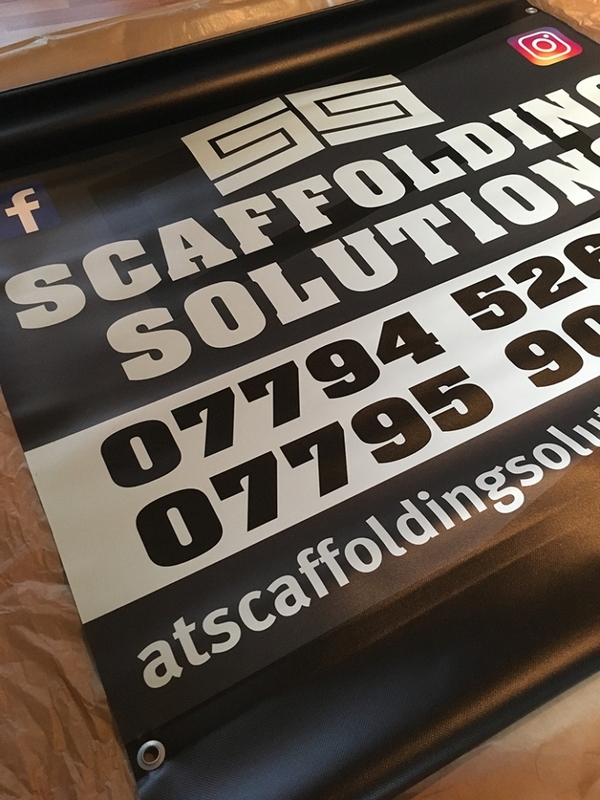 Our double sided scaffold banners are printed on a 650g, 3-ply blockout PVC that has a black membrane running through the centre to make it opaque. This means you can’t see the the design on the reverse from the front when they’re up on scaffolding. 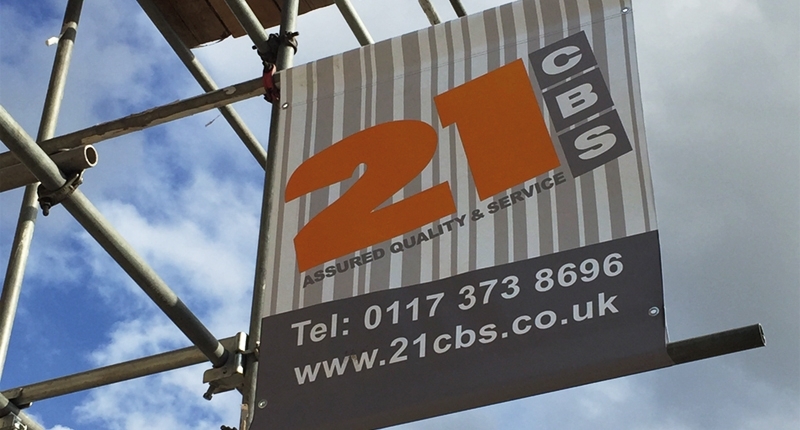 We print banners at any size using F1 fire retardant material – Contact us with your requirements for large PVC or mesh banners or buy now from our shop page. 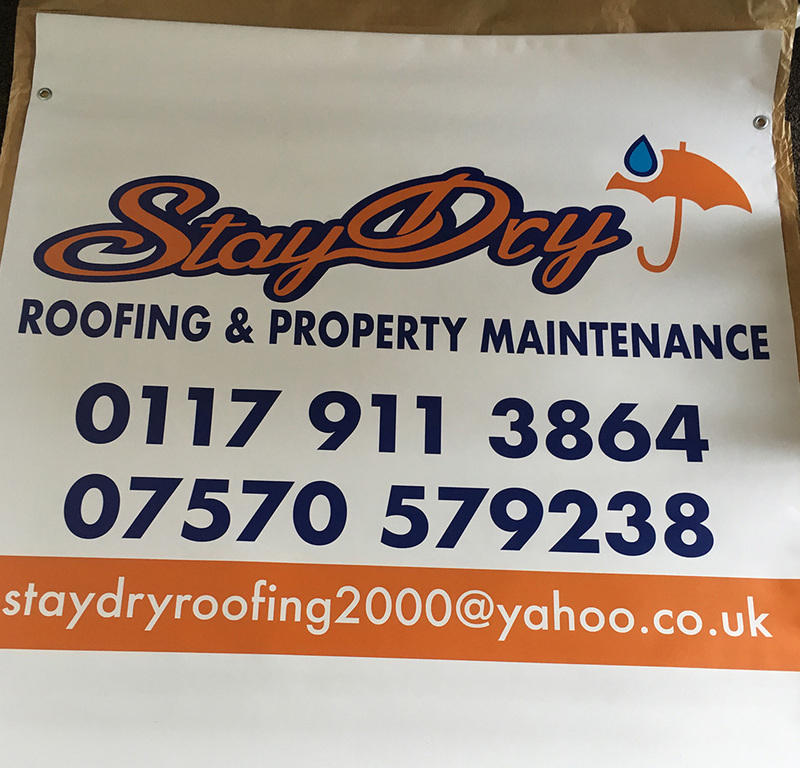 it’s never been easier to order your banners online.